Full Floating Torso Apparitions Observed on Catalina Island! Banning House Lodge - Located on the isthmus of Catalina Island at Two Harbors, the lodge is perched on a hilltop with sweeping views of both Isthmus Cove and Catalina Harbor. The Banning House Lodge was built in 1910 as the summer home for the Banning Brothers. It has since been renovated into a charming 11-room lodge. A ghostly figure dubbed the "White Lady" has often been spotted here. Others have reported the smells of tobacco and fish that reportedly come from the spirit of an old fisherman. Near here is the spot where Natalie Woods drowned and she is also said to be seen close by. This is going to be a blast! 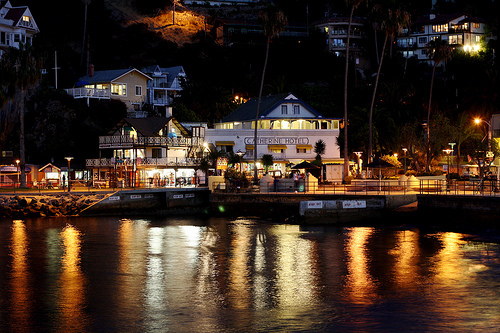 Join us for our Catalina Adventure Cruise, October 30 - November 2nd and catch a guided Ghost Tour of Catalina Island, or observe the Front Street Catalina Island Halloween Parade, or take in a scary flick at the impressive Catalina Casino Theater. 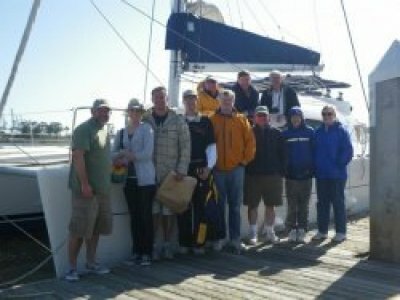 This is a great introduction to Blue-Water sailing and an opportunity to learn to sail a big cat if you would like to. It is also good preparation for our upcoming BVI Charter Vacation. Flight times look good and the weather and water temps are, traditionally, the best of the season. Some say, if the moon is just right, a glimpse of the Flying Dutchman can be seen pointing handsome out to sea during a Halloween channel crossing. This one could fill up scary fast. 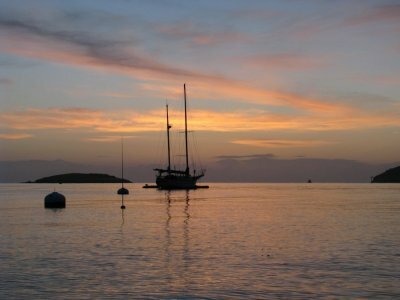 If you would like to join us for a unique three day, three night, Halloween sailing adventure to Catalina Island, Oct 30 - Nov 2, call now (801.636.5204) for a first come, first served reservation. Deadline is September 15th, 2013. 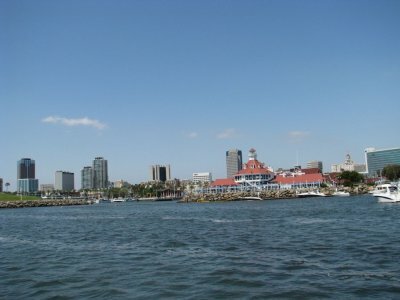 We will be sailing in a spacious Lagoon 38 catamaran for a three-day adventure cruise to Catalina Island, leaving Long Beach, Wednesday morning, Oct 30 and returning early Saturday, Nov 2. 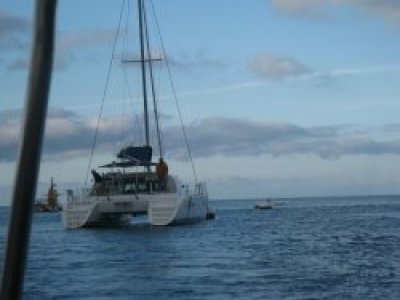 This is also a unique opportunity to learn the systems and functions of a big charter catamaran. 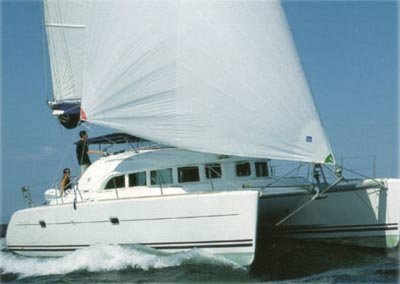 Our skipper, Roger Bliss, will be teaching big cat maneuvering under power, mooring techniques, power winch procedures, navigating with paper and electronic charts, MOB drills, tacking and more. We have room for 8 crew, and as space is limited we would encourage you to reserve your spot with a one half down deposit (non-refundable). At $195 per day, per person, you will not find a better adventure cruise, combined with hands on experience anywhere on the planet. Your skipper Roger Bliss who recently presented a Winter Sailing Seminar on Catalina chartering, is ready to introduce you to the Lagoon 38. Price includes a chauffeured drive from the airport to the boat and back again, plenty of food on board, on-board sleeping accommodations, fuel, mooring fees, and big cat check ride. Who ya gonna call ??? Visit our Facebook Page (on our Home Page) for some more trip photos.